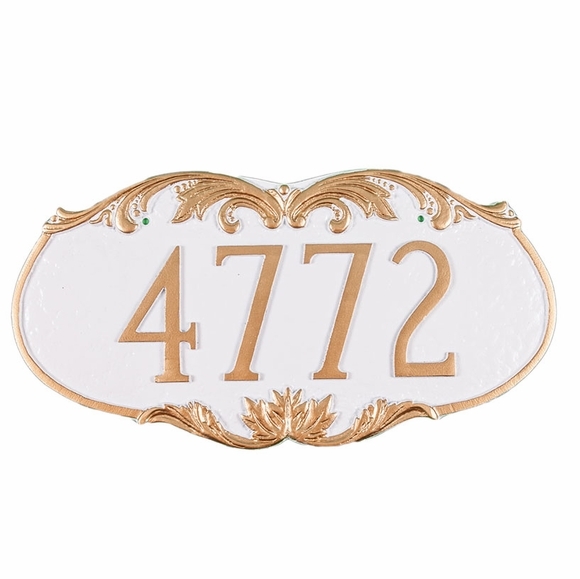 Personalized Decorative Address Number Plaque - - stylized oval address sign contains one line of personalization. Made in the USA. Holds up to five 4" numbers or eight 2" characters. Ornate embellishments emphasize the irregular shape. Rust free cast aluminum construction. Personalized with your address number and color scheme selection.